Get ready to learn all about the crafting sensation that’s sweeping the nation—Claymation! Readers will love learning how to make their very own characters from giraffes to aliens to monsters. The step-by-step approach to clay animation is easy and fun to follow. Pictures of each step allow readers to visualize the creation process. Readers will also gain simple animation skills so they can bring their Claymation characters to life. The books in this series are perfect for creative kids everywhere! Trolls, mummies, and ogres—oh my! Crafting with clay has never been such a thrill. Readers will love creating their own clay monsters. Using simple materials and techniques, this book describes clay sculpting in a step-by-step series that is easy to follow and master. Readers will learn how to make a monster face with changeable expressions. They’ll also learn how to sculpt different monsters using both the subtractive and armature sculpting techniques. The volume concludes with great tips and tricks for creating a Claymation movie, including building a set, making props, and utilizing lights and cameras. 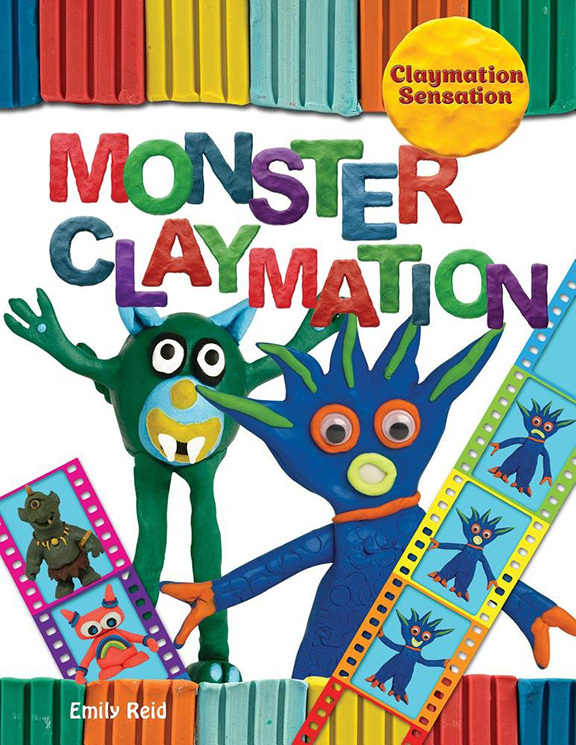 This book gives readers all the tools they need to make the scariest Claymation monster movie they can imagine! You don’t need to be a robotic engineer to build a robot! 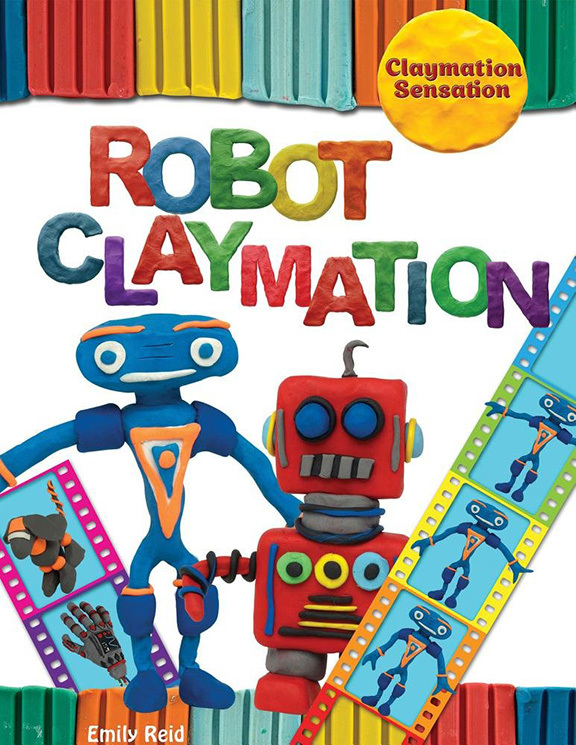 This book shows readers how to sculpt their own robots out of clay. 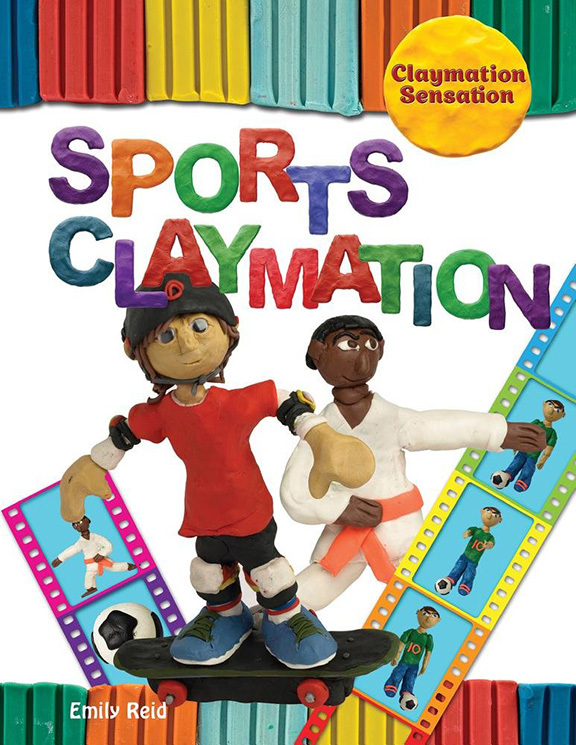 The volume begins with a list of Claymation materials and techniques to introduce readers to the process. Readers will learn how to sculpt clay into figures from simple robots to dog robots, using both the subtractive and armature sculpting techniques. They’ll also learn how to make a set and props to round out their movie scenes. Instructions for using lights and cameras get crafters ready to shoot their own robot movie! Let’s go on a safari! This book allows readers to create their own safari, complete with flamingos, crocodiles, and gorillas. Readers will love sculpting their own amazing animal characters out of clay, using both armature and subtractive sculpting techniques. The book begins with Claymation basics, including materials and step-by-step instructions. By its conclusion, readers will know how to sculpt characters, create a set and props, and even use the right lighting to film their Claymation scenes. 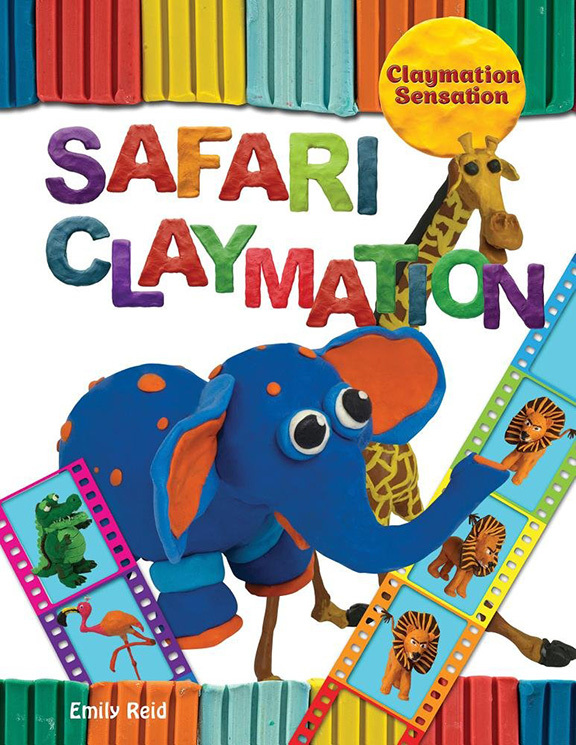 Claymation lovers will have a roaring good time making their own original safari movie!. 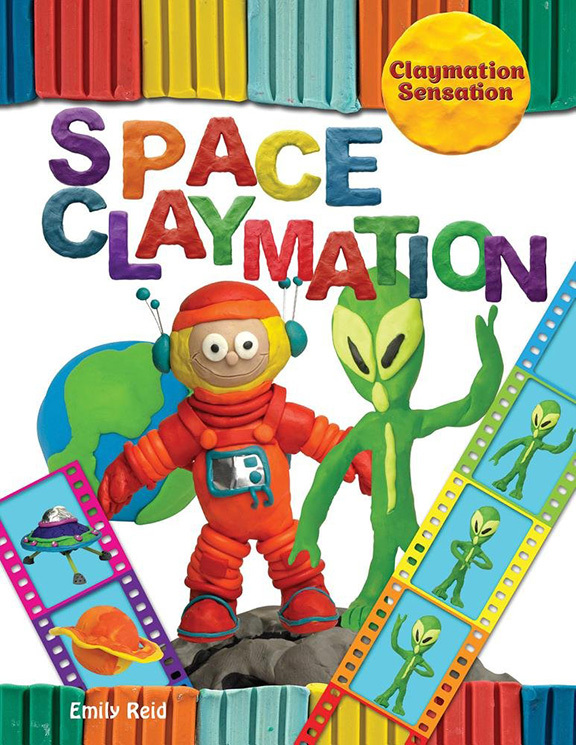 Ready for a Claymation adventure that’s out of this world? This book takes readers all the way to outer space as they learn how to sculpt characters from astronauts to aliens, and space vehicles from space ships to rovers. The book begins with an introduction to Claymation and the tools and techniques necessary to completing the project. Readers will learn both armature and subtractive sculpting techniques, which are applicable to many different sculpting projects. Readers will also build their own set and make props to bring their movie together. The last step is learning about lighting and cameras so readers can make their Claymation space adventure a reality! Time to get in the game! Readers will have a ball learning Claymation basics in this fun and easy to follow guide. This book begins with an introduction to Claymation that includes all the important techniques and materials, covering both armature and subtractive sculpting techniques. Readers will follow the steps to creating their own sports scenes, from skateboarding to skiing to practicing karate. The movie set comes to life as readers build and assemble the background, props, and lights. By the end of the book, readers are well on their way to creating their own epic sports movie using Claymation! Take a dive to the bottom of the sea! 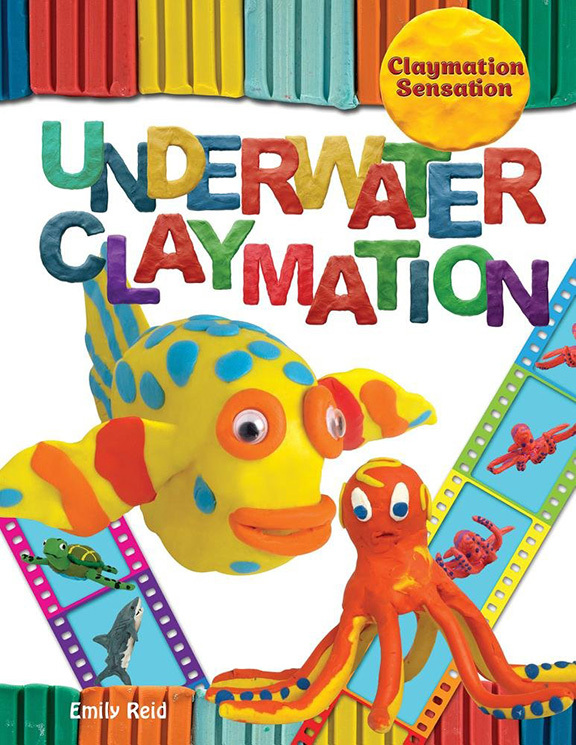 This Claymation guide allows readers to create their own underwater worlds. Using both armature and subtractive sculpting techniques, readers will build their own sea animals, from sharks to turtles to colorful clown fish. Instructions are clear and easy to follow, beginning with collecting materials and learning about important techniques. Following step-by-step instructions for constructing a set, using lights, and filming with a camera will bring these awesome Claymation creatures to life! Series developed and produced for Rosen/Windmill Press by BlueAppleWorks Inc. Marketing copy courtesy of Rosen Publishing. Visit Site.